What Can Bees Do For You? How Do You Feel About Your Bees? Sheri and I would like to thank you from the bottom of our hearts for supporting our family business. This is our only livelihood so we are highly motivated to show our appreciation to you for every purchase you make with us. We know you have lots of options so we appreciate your purchases from us so much. One of the best ways you can put a smile on our face is to order one of our ONLINE COURSES. Not only is this a huge support, but it also helps us accomplish our passion of informing beekeepers the right way to keep bees. Beekeepers around the country have recently started with a package or will install package within the next few weeks. Our packages are on schedule so far, for this Saturday. It is exciting, especially for new beekeepers. With that excitement comes a little anxiety and maybe a tiny bit of fear or uncertainty for what to expect. I remember when I bought my first package. I wasn't sure if I knew what I was doing or not. Even the whole next month after I installed my bees I kept worrying if I was doing the right thing. What should I do next? Should I keep feeding them? Will the cold nights hurt them? When do I add my next hive body? Do they need a pollen patty? Should I test for mites now, or wait? Since mites are the number one killer of bees, when should I start mite control? It is overwhelming to a new beekeeper. If you've started without taking a course you will be even more overwhelmed and your bees will likely suffer from your lack of knowledge and preparation. Two of our six online classes you will benefit the most from are: Basic Beekeeping & Spring Management. Check them out today and ease your mind by gaining the knowledge needed to help build up your confidence. Okay, it's time for you to learn how to raise your own queens. Join David on May 24th 9am-3pm to learn how to raise your own queens. When you need to purchase a queen they are not easy to find and certainly not always available when you need them. You can raise your own queens and have them available when you need them and save lots of money and time. 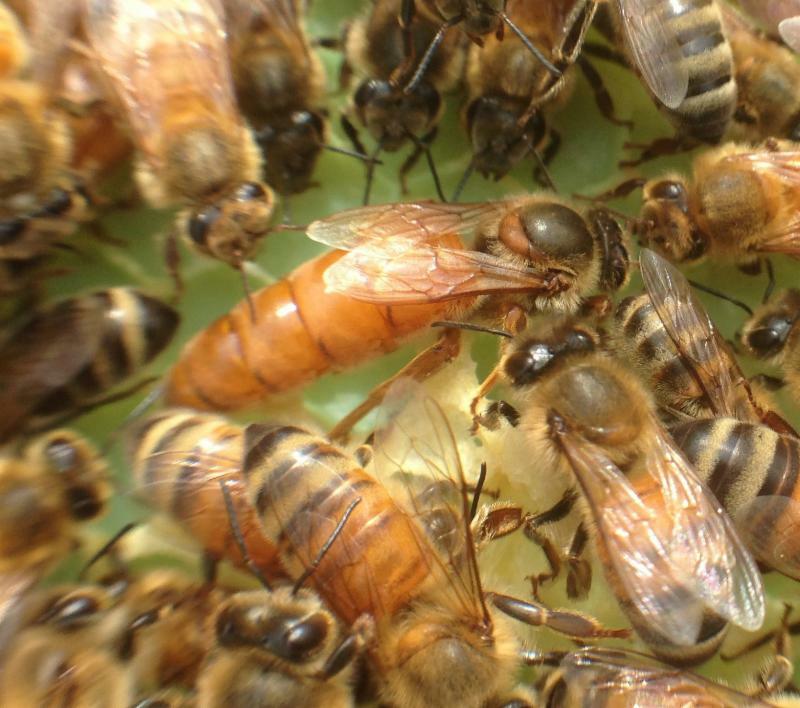 As an EAS Certified Master Beekeeper David has raised queens a long time. His practical expertise will help you raise just a few queens or hundreds. This is a hands on class with some training both indoors and out in the bee yard. Sign Up Today. Only 4 spots left. 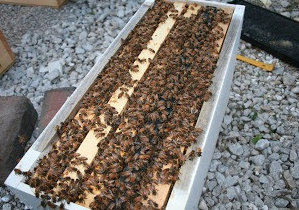 We have 5 Frame Nucs with bees for sale. It's great when bees overwinter so well that we can sell bees from overwintered Illinois hives. 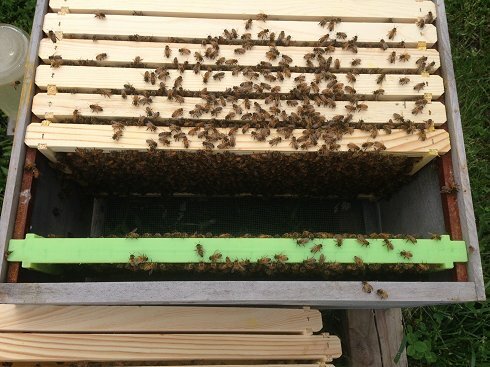 These colonies have already been inspected by the Illinois Department of Ag and the inspector wrote on the inspection report, "Hives look very good." These are 5 frame nucs with a mated Illinois queens. These are notnucs from the south and are not made from packages. These are nucs from Illinois overwintered colonies. Click here for more information. This Saturday is our package bee pickup day. 9am-4pm. Please call first if you are wanting to pick up other items other than packages when you are here so we can be sure to have items in stock. Otherwise, inventory sells very fast to the early birds. Remember to call anytime to listen to a recording updating if Saturday is still a go before making a long trip. If there is any delay we will only place the info on our recording. Wear rain gear if it rains and try to stay on the gravel if it is muddy. Let's hope for a beautiful day. We recommend wearing protective gear because there can be lots of bees flying around. Our awesome feeding systems are selling faster than we can make them. Another batch should go online today or tomorrow. These are flying off the shelves and inventory is cleaned out as soon as we place them online. So keep checking the website. 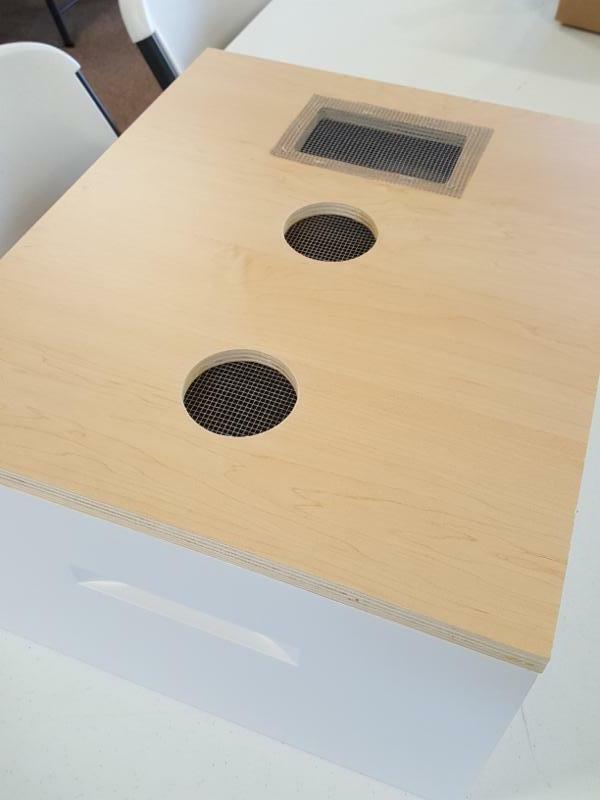 Click here for more info: Burns Bees Feeding System. 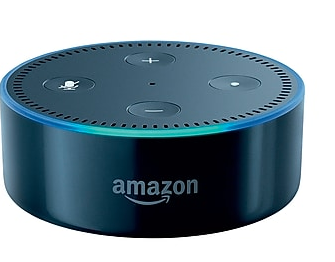 Do You Have An Amazon Alexa or Echo Dot? Every couple of days David places helpful beekeeping tips on the Amazon Alexa for you to listen to with your daily briefing. The Amazon Alexa/Echo was a phenomenal hit this past holiday season. If you were one of the millions of people that purchased one of these during the holiday season you can now listen to a daily beekeeping tip from certified master beekeeper David Burns. Just go to your Alexa skills and look for Beekeeping and add it to your daily flash briefing. I'm glad you are keeping bees or thinking about it. Thank you for supporting our family business for all your beekeeping needs. Our hours today are 10am-4:30pm central time. Give us a call. What Should You Feed Your Bees and How? I wish we all could let the bees find their own food sources all year. But our country has an obsession with killing every weed, the bees' main source of food. Fence rows are sprayed and edges of mono-crop fields are sprayed or mowed. Your bees' natural food sources are quickly eliminated. Those studying Colony Collapse Disorder point toward poor nutrition as one of several potential causes. A colony actually requires a large amount of food like any living organism. Since a hive is considered a single living organism its requirement for steady food is enormous. Bees are like humans, they live on carbohydrates (nectar/honey) and protein (pollen). Bees are healthier when they have a continual intake of pollen and nectar. There are critical times during the year when bees need food but it is simply not available in the quantity they require. This takes a terrible toll on the your bees. Take for example the installation of a package in the spring. Over the last week here in Illinois packages were unable to forage for food due to rain, wind and colder temperatures. Some places receive 5 inches of snow, locking the bees in their hive lacking food. To care for the new brood in the spring large amounts of stored nectar and pollen is consumed rapidly. When temperatures fall below 50 degrees (f) the bees cluster to stay warm and are no longer able to go down and eat from the entrance feeders. More resources are consumed by the colony than normal in order to produce heat. Brood is not cared for properly due to a lack of food and less eggs are laid during cold snaps. This greatly reduces the building up of brood. There are several reasons why brooding up is so important in the spring and early summer. A large population is essential for gathering nectar, building comb, storing honey and fighting pests and diseases. Weaker colonies usually become weaker which increases the risks of wax moths, small hive beetles and winter die-outs. Without a large numbers of foragers they will not have large amounts of nectar need to expand quickly. Without large amounts of nectar they will not be able to produce large amounts of wax to build comb. Without comb there is no place for the queen to lay. This is why it is so important that as long as your bees are drawing our frames, they must be fed. Since we have placed a colony of honey bees in our hive, on our property and want them to work on our terms, there are critical times during the year when we must feed our bees such as in the spring when it is cooler and rainy. Also, bees need fed in late summer during the inevitable dearth period between when summer flowers are finished and before fall flowers bloom. Bees need to store up food for winter in the fall but frosts will killed off all foraging sources. No matter how good your bees are, how perfect your queen is, these are critical times to ensure your bees are well fed so their numbers remain strong in preparation for a summer harvest and for winter. Several years ago I became overwhelmed with how many beekeepers were finding it difficult to feed their bees both protein and carbohydrates during these critical times. I remember I was at the Eastern Apicultural Society meeting in Pennsylvania when a friend of mine received a call that her bees were starving. This was in late summer during a dearth. She was in a panic to figure out how to quickly get food in the hives. Then, I was speaking at the Tri-County Beekeepers annual conference in Ohio when another beekeeper and fellow master beekeeper told me how much he liked my Winter-Bee-Kind feeding system, but that I should make one for the summer and fall dearth. We both discussed how this is one of the more critical times that bees need to continue building up on needed resources in preparation for winter. So it took me a year of trying out different methods and systems to finally figure it out. I finally did it! It took several prototypes but I finally developed the Burns Bees Feeding System. So often new beginners call us in a panic saying they just installed their new package but they are worried about the cold nights. Here's the 411 on why new packages are so stressed that sometimes they never fully recover. People purchase their packages so early that the new package of bees is stuck in the hive. Snow storms, cold nights and a lack of foraging resources early in the spring causes the new package to fall behind on brood production. This can persist all through the year. All that is needed is to feed your bees from the top, NOT THE FRONT, so that when your new bees are clustered near the top, they have access to the food they so desperately need to build up fast. Sure you may see your bees bringing in pollen but their demand for food is usually far more than they can find in early spring. Some people try to place an entrance feeder at the entrance or on the frames of a deep and surround it with a shell of a deep hive body and place a lid on it. But when it is too cold for the bees to go down to the entrance feeder at the opening, they just stay clustered at the top. Also the bees need more than just sugar, they also need protein to keep building up. So let me give the details the Burns Bees Feeding System. It comes with lids with pre-drilled holes for your small mouth jars. We recommend sugar water mixed 1:1 in the spring and 2:1 (2 parts sugar to 1 part water) in the fall. We discovered last year it is best to add 1 teaspoon of our protein powder to your sugar water. This helps gives the bees the protein they need. Our feeder holds in the heat during the cool nights of spring. We recommend the patties are smashed through the screen in order to create more texture so the bees can consume patties more effectively. This allows the patty to be divided into tiny attached sections making it easier for the bees to consume and helps control small hive beetle infestation. 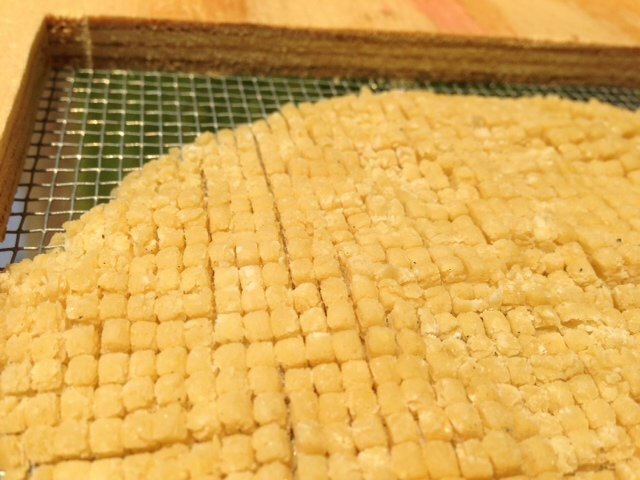 This is a view of the patties facing up, but when placed on the hive, the patty pictured above is placed upside down and hangs directly above the cluster. Here is a new package on undrawn foundation. 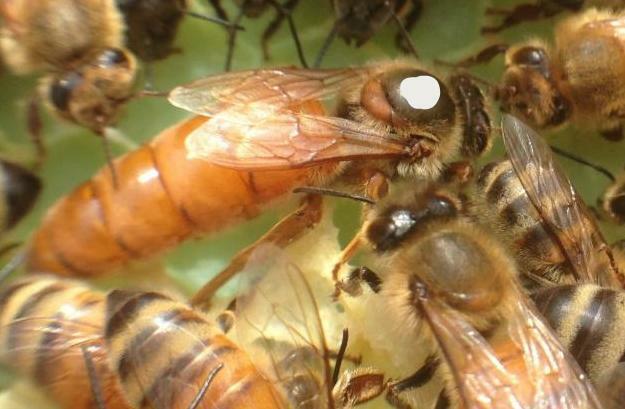 A green drone comb is seen here which is excellent to help control mites. The Feeding System is placed directly on top of the cluster. Once all your frames are placed back in after installing your package our feeder provides the food your bees need to get off to a great start. You can place a used deep on top of the feeder as a shell and place the top cover on that deep. Now you have a compartment to feed your bees and since our holes are lined with screen, the bees stay down when you change your jars. 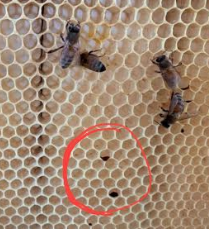 If you bought a new hive that came with 2 deep hive bodies, you can use one as a shell, because you only install your bees in 1 deep for the first few weeks. Notice how the jar lid does not allow the sugar water to spill out, but simply bubbles due to a vacuum seal of your jar. The bees are able to drink from this effectively through the protective screen. Finally place the top cover on and be sure to use a weight like a rock or brick incase of a strong wind. 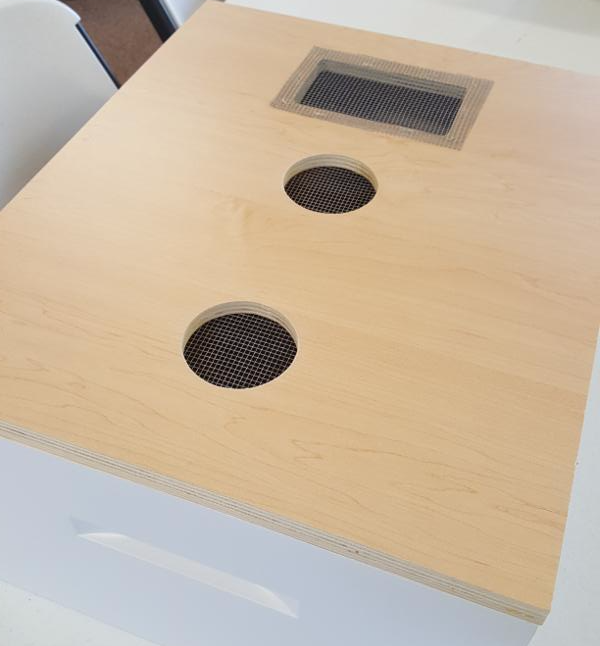 To order our BURNS BEES FEEDING SYSTEM, click here now. When you purchase products from us, you support our small, family business which allows us to continue to invent and provide awesome beekeeping equipment, so thank you in advance. Can I Be Your Beekeeping Coach? April Special! Seems like no matter where I go people recognize me from my YouTube videos on beekeeping. We now have nearly 18,000 subscribers! Many people tell me that I am their main source of beekeeping information. Over the last few years we have reached nearly 3 million people through our online videos, podcasts and beekeeping lessons. That's amazing. This is very humbling. I receive hundreds of phone calls and even more emails per month from beekeepers around the country seeking answers on what to do next with their hive. - Several New Instructional Videos Each Month. - Personal Email & Phone Mentorship With Me. Once you sign up you are given my personal cell phone. You'll be just a phone call, text or email away from a certified master beekeeper to help you when you need it most. Let's face it, spring is when we need help the most. - Picture/Video Evaluation Of Your Hive When Needed. Send me a video and/or pictures of what concerns you and I'll advise you on the next step to take. A few days ago a member sent me this photo fearing she had American foulbrood. - I will also send you several articles a month with tips on what you should be doing and looking for and interesting beekeeping science and practical approaches. - 1 Free online class or a free class at our location per year. I'd Love To Have David As My Beekeeping Mentor. Swarm Season Is Upon Us. Do You Need A Hive? Seems like we are never expecting a swarm. When it happens we are scrambling to find something to put them in. By time we come up with something, they've flown away. Don't be that guy! 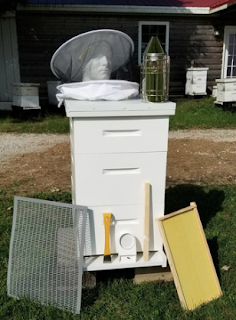 Our hives are Amish made from pine, 2 coats of exterior paint, painted aluminum top cover, screen bottom board, wooden frames with plastic foundation, beeswax coated. 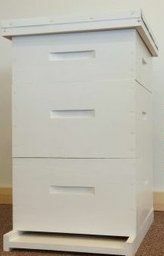 This is a complete hive, screen bottom board, two deeps, one honey super and all the frames. Also includes an inner cover. We know you have lots of places to buy hives, so we appreciate your support of a small, family business. Our hives are made here in Illinois. $259 Click Here To Be Ready To Have A Hive For Swarms! What can bees do to make our lives better? Well, there is the obvious such as pollinate our fruits and vegetables and make honey, but is there more? Absolutely! Bees provide for us an enjoyable outdoor hobby that fills our mind with peace as we enjoy observing these little, amazing creatures quietly keeping our ecosystem stabilized. Keeping bees brings us immense satisfaction knowing that these super pollinators may not make it without our help. 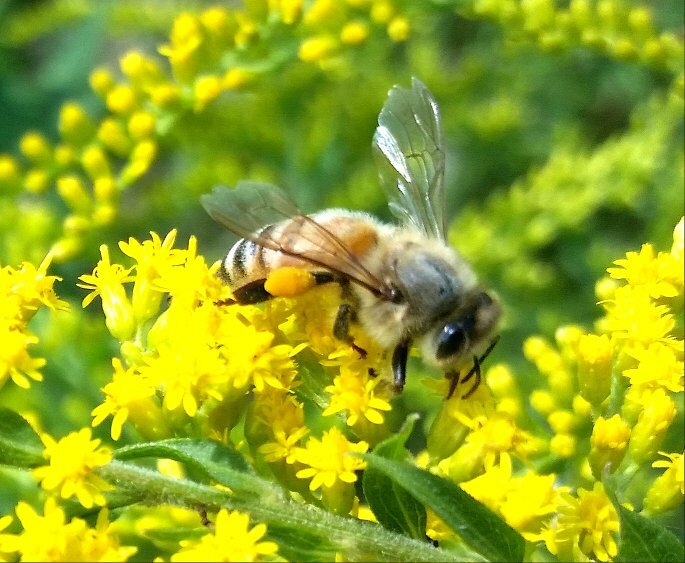 Knowing that we are helping honey bees survive various challenges brings us gratification. We would be so sad if we lost our honey bees. Anyone who observes a honey bee on a flower immediately knows there will be future plant, tree or fruit. There is so much that bees do for us, now what can we do for them? Hi, I'm EAS Certified Master Beekeeper, David Burns. I'm at Long Lane Honey Bee Farms and www.honeybeesonline.com, an online beekeeping resource that has helped millions of beekeepers through YouTube, In-House classes and now Online Beekeeping Courses. I'm not a commercial beekeeper with thousands of colonies but I really love sharing my love of beekeeping. And I've taught enough people in person that I know how to help you understand the most important aspects needed to be a beekeeping boss. I've spent over a decade creating beekeeping content just for you. There's tons of beekeeping sites, blogs and YouTube channels now, but people kept telling me they like my style. What's my style? I'm told I am sincere and personable so that must shine through in my online video courses because hundreds of people keep telling us how much they enjoy these courses. I've packed years of learning and beekeeping experience into each course. But I can find all kind of beekeeping info online for free? You can! But you're going to spend a ton of time watching a bunch of YouTube videos from beekeepers you know nothing about. Do you really want to search through forums listening to beekeepers arguing and confusing you even more? Why waste money on useless beekeeping equipment and costly hives and bad advice? Why do your courses cost $59? This isn't for everyone. But if you value your time and want to learn the most important beekeeping info in the shortest amount of time...I'm your man. Educating beekeepers is my full-time job. It's my passion and I take it seriously. When do your courses start and finish? The course starts anytime you want. They never end. Study and watch the videos at your own pace. You have a busy lifestyle, so I designed these courses to fit your schedule. What else do I get in addition to online videos? For most of the courses you receive a worksheet. You do not have to use it, but if you like taking notes it helps you remember what you are being taught. How does as long as you live sound? After purchasing a course, you have unlimited access to our courses for as long as you like on any of your devices like your smartphone, computer or tablet. Is there a completion certificate? YES. Once you complete the worksheet and send them back for me to review, I'll send you a beautiful, autographed certificate suitable for framing. What have others said about taking your courses? ALL SIX COURSES "THE ULTIMATE BEEKEEPING COURSE"
This new and exciting resource contains the first year of informative videos sent to BeeTeam6 members (May 2016-May 2017) addressing the real issues beekeepers face. When you need information on a particular beekeeping subject it can take you forever to find an answer. You can look for answers in books, YouTube and ask around at your local bee club but you will get as many answers as people you ask and videos you watch. This resource offers videos on specific beekeeping subjects so you can find ONE SOURCE, ONE ANSWER. Your time is valuable. CLICK HERE TO ORDER NOW!! 46 VIDEOS!! Even though April showers do bring May flowers, they also keep our bees from flying out for food. 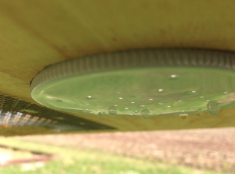 A new package or nuc has very little resources available on the cold and rainy days of spring when they cannot fly. A lack of food will set your hive back by weeks. Avoid this set back and keep your bees expanding by feeding them from the top with our Top Feeder. These have been very popular over the last few year. Screen keeps your bees down so you can change jars easily. I'm EAS Certified Master Beekeeper, David Burns. I'd like to introduce a new resource I'm releasing today. 45 beekeeping videos all in one spot. Over the last 3 years I've enjoyed personally mentoring hundreds of beekeepers through BeeTeam6. This new and exciting resource contains the first year of informative videos sent to BeeTeam6 members (May 2016 - May 2017) addressing the real issues beekeepers face. This resource is a very unique opportunity for you to have access to 1 year's worth of BeeTeam6 videos-- a library of informative beekeeping videos compiled here in one place. Each video was produced privately by EAS Certified Master Beekeeper, David Burns for his BeeTeam6 subscribers. Also included are several other top videos that beekeepers have enjoyed the most on YouTube. BeeTeam6 is a Beekeeping Partnership program established by EAS Certified Master Beekeeper David Burns in 2016. 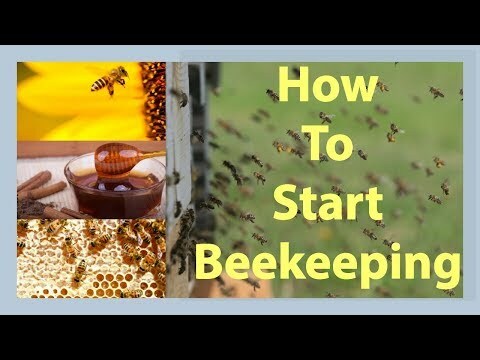 Several times per month David sends beekeepers participating in this program an informative video and newsletter targeting key subjects to help improve their beekeeping skills. This new product contains the first year of BeeTeam6 videos. Here's how it works. Once you purchase this resource, you will be sent an email which contains the titles and descriptions and links of 45 videos between 4 - 15 minutes in length. Quickly find the answers you are looking for. Remember, once you've made your purchase of this resource you can watch the videos as long and as often as you'd like. Order now and save $10 on this introductory offer. Regularly $49, only $39 for a limited time. I'm glad you are keeping bees or thinking about it. Thank you for supporting our family business for all your beekeeping needs. 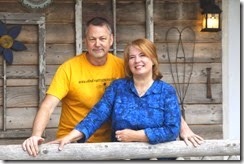 Hi, we are David and Sheri Burns from Long Lane Honey Bee Farms, www.honeybeesonline.com. Our phones are ringing off the hook. Beekeepers are scrambling. Why? Many are frantically trying to buy beekeeping equipment and bees. Others are finding out, after they purchased their new equipment and bees, that their city requires beekeepers to complete a beekeeping class offered only by certified master beekeepers. Beekeepers are also panicking to find the time and equipment to deal with making splits or catching swarms from overwintered colonies. When you are in a state of red alert it's hard to enjoy the moment and even to keep everything straight in your head. In this newsletter we want to help you enjoy your passion of beekeeping and to keep it SIMPLE! 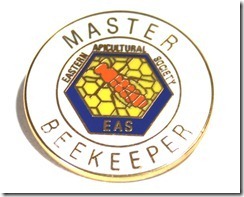 Hi, I'm David Burns and I'm a certified master beekeeper, certified by the grandfather of master beekeeper programs EAS, Eastern Apicultural Society of North America. When I first started beekeeping in the early 90s I didn't know up from down about honey bees. I thought I did until my bees arrived. Then I realized I was in trouble. I made so many horrible mistakes. It was embarrassing. I want you to avoid mistakes and embarrassment. I coach and mentor 200 beekeepers through a partnership program I started several years ago known as BEETEAM6. This group of beekeepers can call me on my personal cell phone, text me or send me emails when they have questions. Their input has allow me to understand the struggles and limitations beekeepers face every day. When I respond to assist them I always keep it simple and precise. Beekeeping can quickly become complicated and very confusing. Before I share some tips on how to simplify beekeeping, let me invite you to come see us this Saturday. *David will be roasting, grinding and making his special coffee in a French press for this event. This coffee will be Yirgacheffe grown in Ethiopia at an elevation of around 6,000 feet. Come join us for this special social hour before our Spring Management Course. You do not have to attend the course to enjoy social hour. 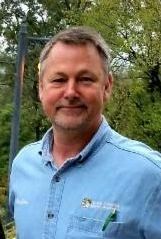 EAS Certified Master Beekeeper, David Burns will be mingling and answering your beekeeping questions. ﻿Once your bees survive the winter, knowing what to do next is crucial. When to split? 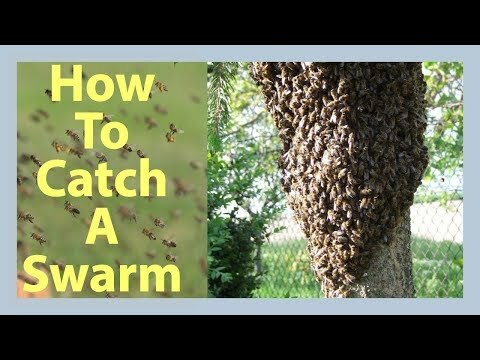 How to prevent swarming? When to add supers? Join us for this exciting spring class. Last weekend I spoke in Chicago and spent the day with a couple hundred beekeepers. I quickly discovered that the majority of beekeepers present were either starting this year or have kept bees less than a year. At these events I am asked many questions which reveals to me that most beekeepers are so confused. So many new beekeepers are so frustrated because they cannot get a simple, straight forward answer. How Do I Treat For Mites? Should I Use A Queen Excluder? When And What Should I Feed My Bees? What Kind Of Hive Should I Start With? Which Type Of Bee Is Best To Start With? Beekeeping appears complicated because there are many different opinions. 1. Start With 2 Hives. 3. Do Not Search For The Perfect Package, Nuc Or Queen. Become A Better Beekeeper. 4. Feed Your Bees Whenever You Do Not Have Honey Supers On The Hive. 5. Test For Mites Every 30 Days. 6. Use Non-Chemical Approaches To Mite Control Unless Your Levels Rise Above Acceptable Thresholds. 7. Feed Your Bees In The Winter. 8. Help Your Bees Raise Lots Of Brood In The Fall To Survive Winter. 9. Monitor The Laying Pattern Of Your Queen Every 2 Weeks. Replace Her When She Shows Signs Of Failing. 10. Do Not Stress Out, Enjoy Beekeeping. Sheri and I have dedicated over a decade of our lives helping beekeepers. We do not have other jobs. We make our living by training beekeepers and selling equipment. When you take one of our classes or purchase your beekeeping equipment from us, we are so thankful as this allows us to continue to offer our knowledge and skills to the beekeeping community. Our world needs these precious pollinators. Honey bees play a major role in the balance of nature. We believe what we do is huge, much larger than just offering classes, bees and equipment. We are passionate! Please support our efforts. Thank you. Or you can take our Online Beginners Course by clicking here. What Are You Missing By Not Being Part Of BEETEAM6? 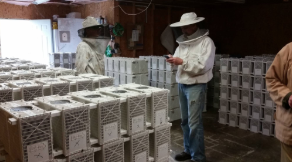 David assists 200 beekeepers around the country by taking their calls, emails or text when they have beekeeping questions. He also sends out teachings and private video lessons to BeeTeam6 members. What are you missing? Today, David will being sending BEETEAM6 members information on Oxalic acid for mite control. Is it a worthwhile treatment option? Is it safe? Is it too hard on bees? Does it really work? You are also missing out on being able to have a certified master beekeeper on the other end of your phone. There will be struggles. You will see things that confuse you. Join today for 6 months and this will carry you from April through September. Wouldn't it calm your worries to know you have an EAS Certified Master Beekeeper a phone call away? Cloth hat and veil combo, hive tool, smoker, and a queen excluder. We Open At 10 a.m. Which Is Better? A 3 lb Package or a Nuc?